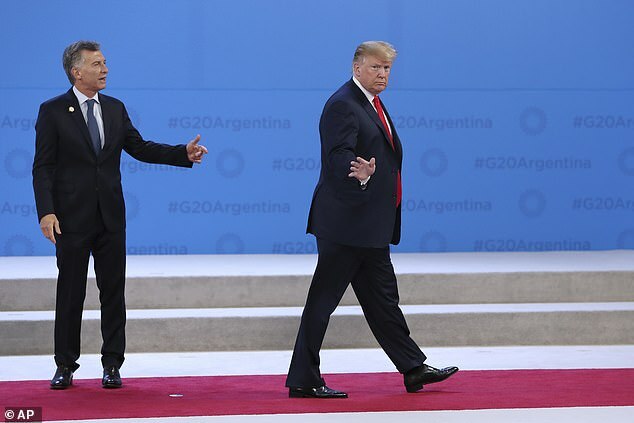 President Donald Trump appeared to be in a hurry to leave the G20 summit in Buenos Aires. 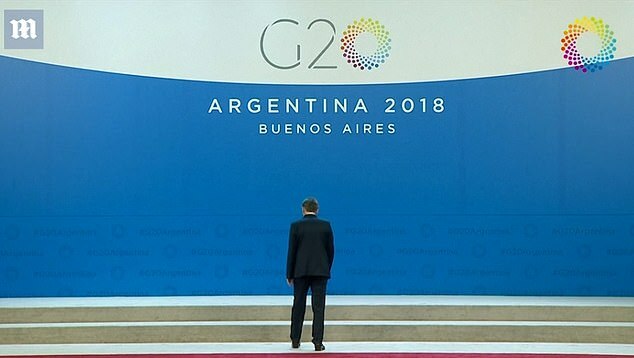 The President was seen walking away from his Argentinean counterpart, President Mauricio Macri, just as the two leaders were supposed to pose for a photo opportunity on Friday. 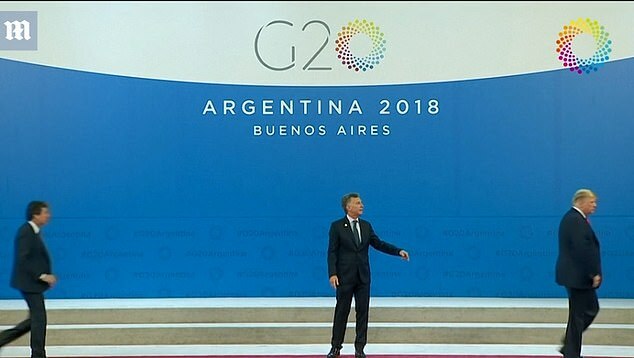 The hilarious video shows Trump shake hands with Macri, the two leaders were then supposed to spend a few more moments on stage for a group photo with other G20 leaders. But Trump was apparently so eager to leave that that he just wandered off stage. Reporters who covered the incident started laughing when Trump awkwardly walked off. 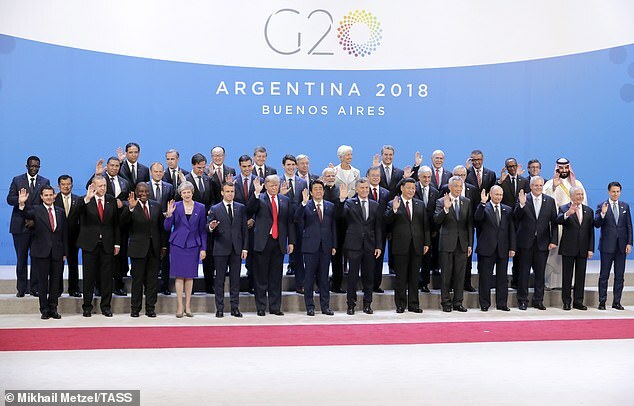 The incident in Buenos Aires was the second embarrassing gaffe for Trump, who doesn’t seem interested in the nuances of diplomatic protocol. Earlier Friday, the President stood side by side with Macri and seemed to struggle to understand the translation delivered into his earpiece. 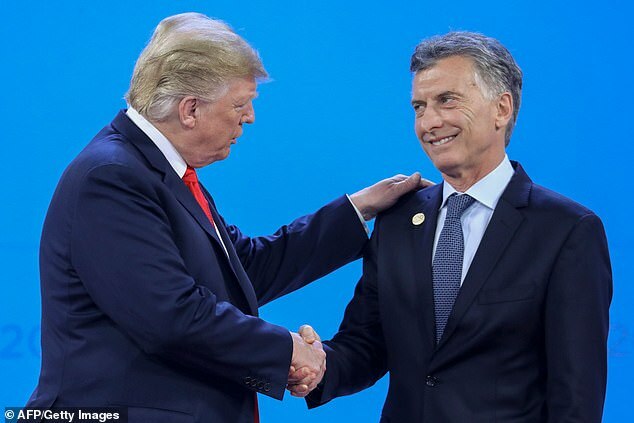 As the South American president shared kind greetings in Spanish, Trump tossed his his translation earpiece to the ground telling Macri 'I think I understood you better in your language than I did on this. But that's okay'.